Cheer/Tumble 1 - Beginning gymnastics for those who are learning forward rolls through Round Offs. Cheer/Tumble 2 - Intermediate/Advanced gymnastics for those who are learning back handsprings, back tucks, and front flips. Special Needs - What every child wants, a chance to participate in the activities that they love! They are indeed our "Special Stars". No jeans or jean shorts should be worn to any class. Hair should be pulled away from your face. BALLET: ponytail or bun. T-shirts, dance shorts, or dance pants may be worn as long as they fit close to your body. We would prefer that leotards and tights be worn to class. You may wear any color. Make-up lessons are available. Please contact the office for the appropriate class. Tuition will not be prorated for absences. Perfect attendance eligibility starts from the 1st day of the dance school year and goes until the end of the dance school year. We reserve the right to cancel classes due to insufficient registration. Other class options will be offered. Fees will not be refunded. We will have a special visiting day before Christmas break for family and friends to observe classes. We ask that you not enter the classroom except at this specific time, unless otherwise instructed by the teacher. 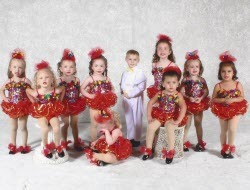 Our dance recital is held in late spring. Ready-made costumes will be ordered in December. You will receive information regarding recital closer to the recital date. We reserve the right to refuse service to any person for reasons of disruptive conduct in the classroom or studio as determined by our sole discretion. 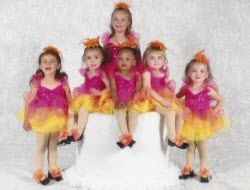 Dance Machines Dance Studio, Inc. and it's teachers will not be held responsible for damages or injuries which may occur while participating in any activity connected to this studio. The privacy of your personal information is very important to Dance Machines Dance Studio, Inc., (DMDS) We will not share, sell, rent or trade your personal information to any third party. We will take special care to protect the privacy and security of your information. Dance Machines Dance Studio, Inc., will share your information for the following purposes only: (i) as needed for studio business; (ii) if required to do so by law or to comply with legal process; or (iii) to protect the rights, property, or personal safety of the public. 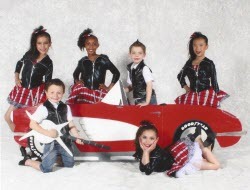 By virtue of attending, enrolling, or being a spectator of Dance Machines Dance Studio, Inc., do hereby give permission to the directors of DMDS, to use their images, photographs or videos to appear on television, or any electronic or social media sites, for advertising, news coverage, or any other commercial use for our studio.